To help improve the experience for our website users, and to make it easier for our users to get in contact with us and/or request a quote, we have installed two new contact forms on our website. The previous quote page required a large and complex form to be completed. This caused confusion to many of our website users, as the majority of them needed our Engineers to design a suitable and sufficient scope of works. 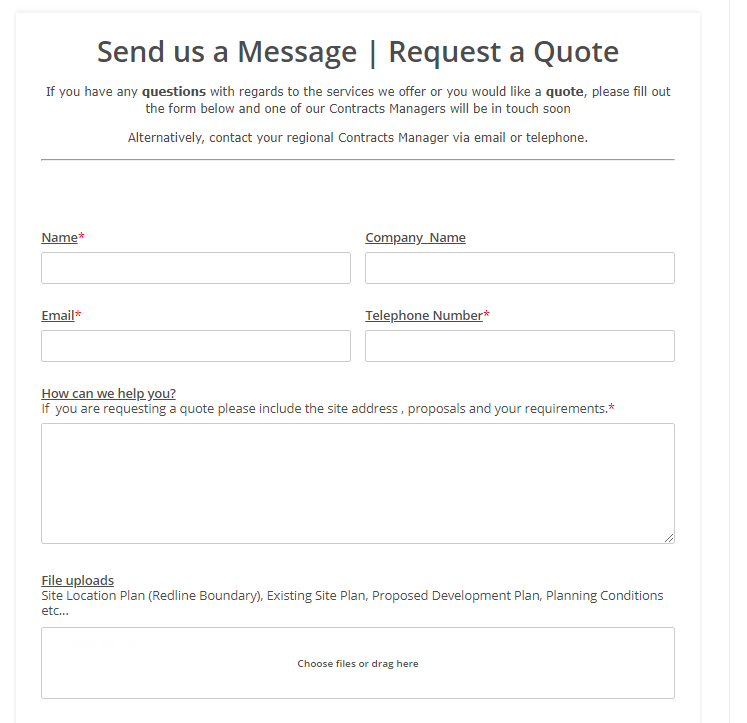 Therefore, we have removed the ‘Quote’ page and installed a very simplistic contact form on the ‘Contact Us’ page. The user now has the option for sending us a message/request a quote by completing the quick contact form or by emailing or calling their regional Contracts Manager directly. 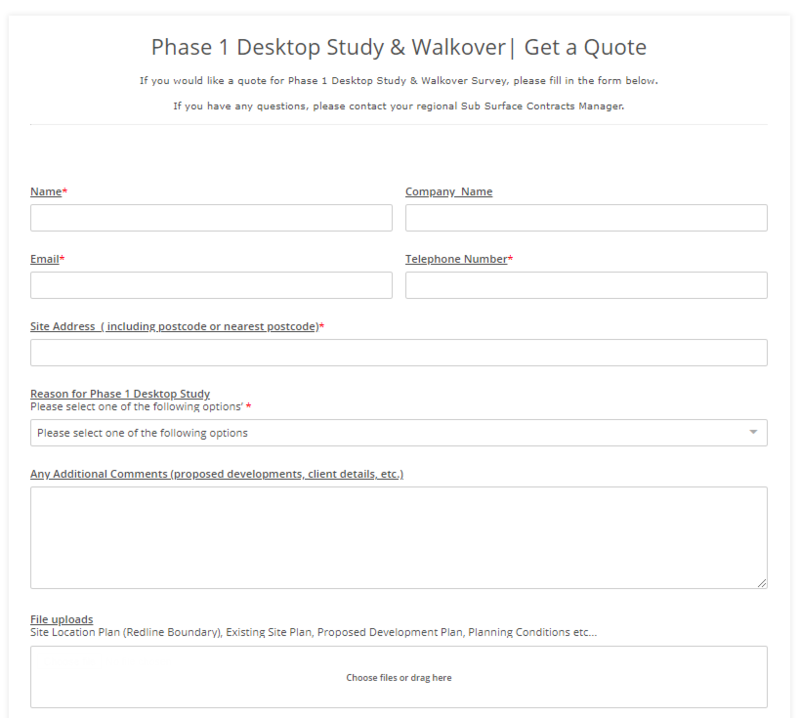 An additional contact form has been added for our users to request a quote for a Phase 1 Desktop Study. This form is tailored to the requirements of Phase 1 Desktop Studies only and is found via clicking the ‘Get a Quote’ buttons on the ‘Phase 1 Desktop Study’ page and ‘What is a Phase 1 Desk Study’ page. Both of the contact forms allow the users to upload files. Our users can now upload plans (site location plans, proposed development plans, etc.) and related documents (planning conditions, etc.) supporting their requests. This allows us to provide our users with a prompt and sufficient quote to satisfy their project requirements along with, where necessary, the various regulatory requirements of Planning Departments, Environmental Health Departments, the Environment Agency, Building Control departments and property transactions.